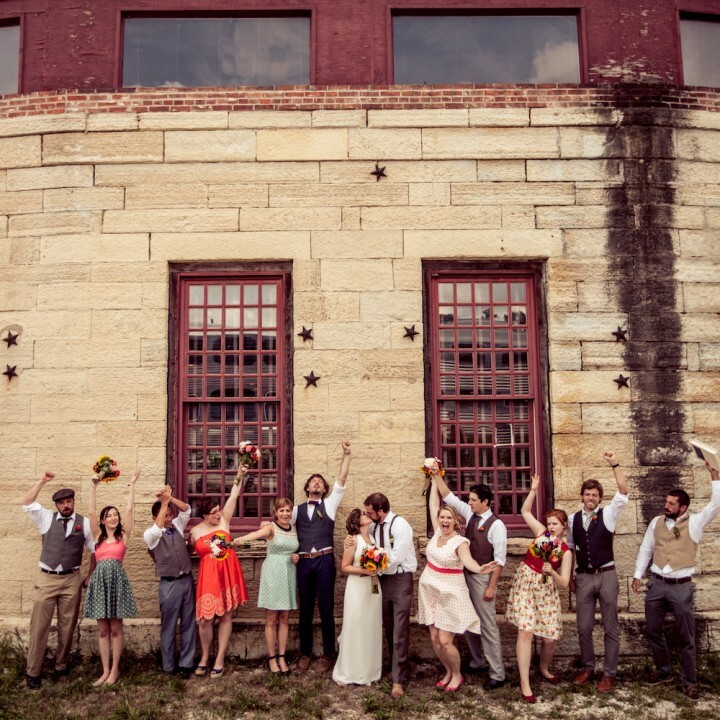 We are so proud to announce that Sarah and Caleb’s beautiful wedding has been featured on Eco Brides! Sarah and Caleb were married this summer at the perfectly rustic Hodgin Valley Farm in Greensboro, NC. Hodgin Valley Farm is a working farm complete with horses, cows, guinea hens, goats, you name it. The venue also works perfectly as a wedding venue with its old farm house, two story reception barn, and gorgeous scenery. 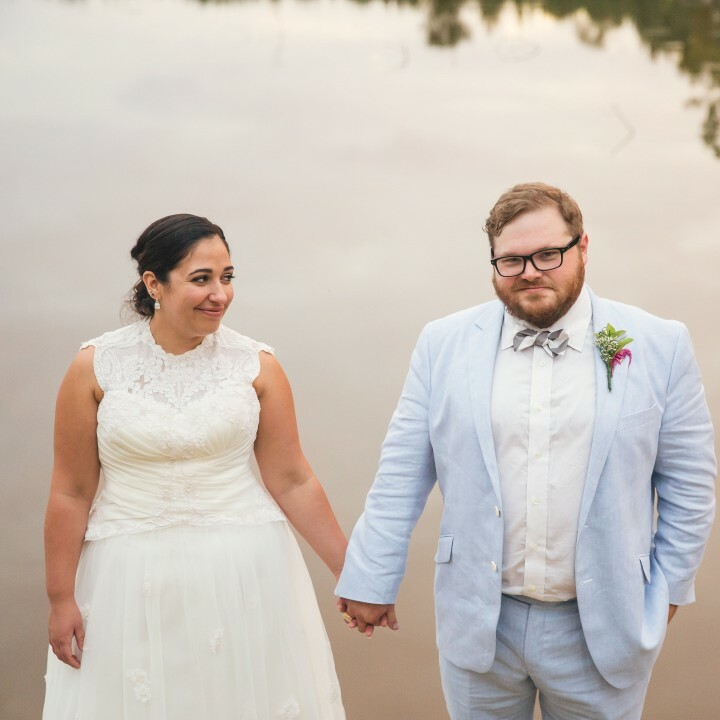 Sarah and Caleb were married outside in front of the property’s lake. Sarah’s grandfather officiated the ceremony, a tradition that has been carried out for many generations. It was a truly lovely event! Being nature lovers, it was important to Sarah and Caleb to plan a wedding that was environmentally conscious. 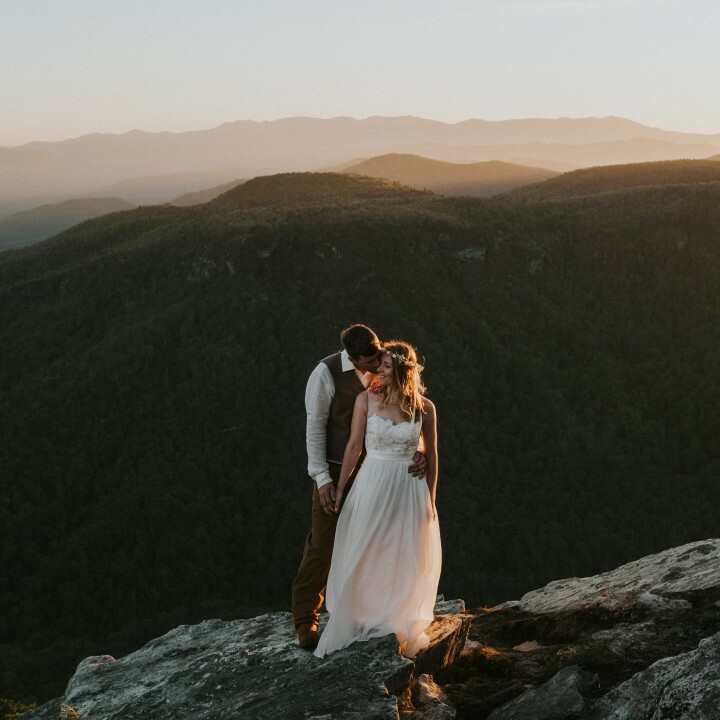 To do this, the bride and groom chose to serve locally grown foods, North Carolina beers, and eliminate as much unnecessary waste as possible. Caleb’s sister works as a nurse, and she saved up tons of little medicine vials to be spray painted and repurposed as flower vase place settings. They provided their guests with reusable mason jars to drink from as well. Being the earthy bride that she is, Sarah chose to wear a flowered headband in lieu of a traditional veil. It suited her perfectly and went wonderfully with her wildflower bouquet. Sarah and Caleb are one of the sweetest, most easy going couples we have ever had the pleasure of working with. It was an honor to photograph their wedding! 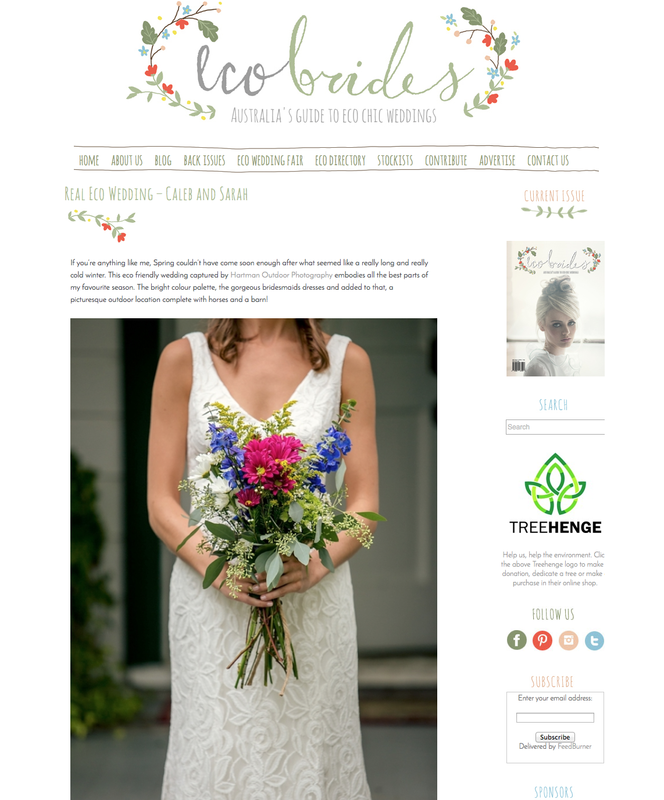 Eco Brides is an Australian-based wedding blog whose mission is to feature eco-friendly weddings from around the globe. We are beyond flattered to have our work featured on this awesome site!